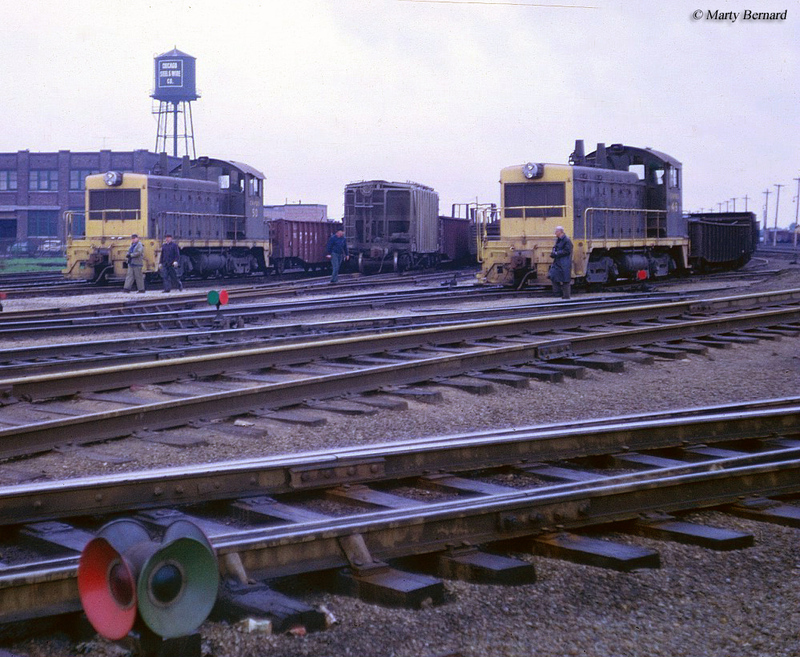 Railroad yards have been an important part of railroading since nearly the earliest days of the industry. It did not take railroads long to realize that having locations of multiple tracks, particularly at division points or where two rail lines meet, for both freight car storage and organizing or reorganizing trains would increase efficiency. Today railroad yards range in size from just a few tracks to massive classification facilities that handle dozens of trains on a daily basis and can store or hold thousands of cars at once. Years ago these yards were in much greater numbers as railroads built them every one hundred miles or so due to steam locomotive refueling, numerous local customers, and other factors. In general, however, the large Class Is of today have moved away from many smaller terminals to improve efficiency and reduce costs by routing trains into only the largest yards. 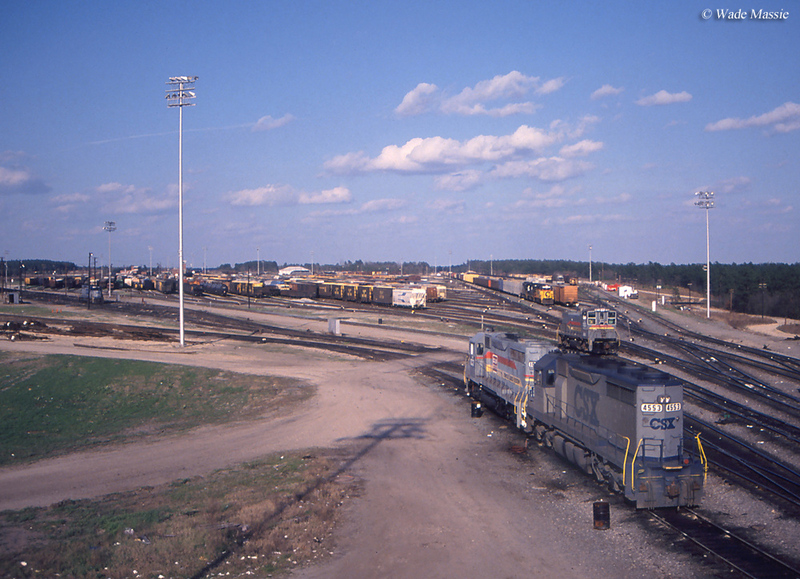 Larger railroad yards, due to their importance and often times location also are utilized for other functions aside from just classifying freight trains. For instance, engine terminals and heavy maintenance facilities are also usually found within these key yards. Engine terminals provide light maintenance to locomotives, sanding towers, wash racks, and fueling pads while heavy maintenance facilities provide all of the major repairs an engine terminal cannot provide. 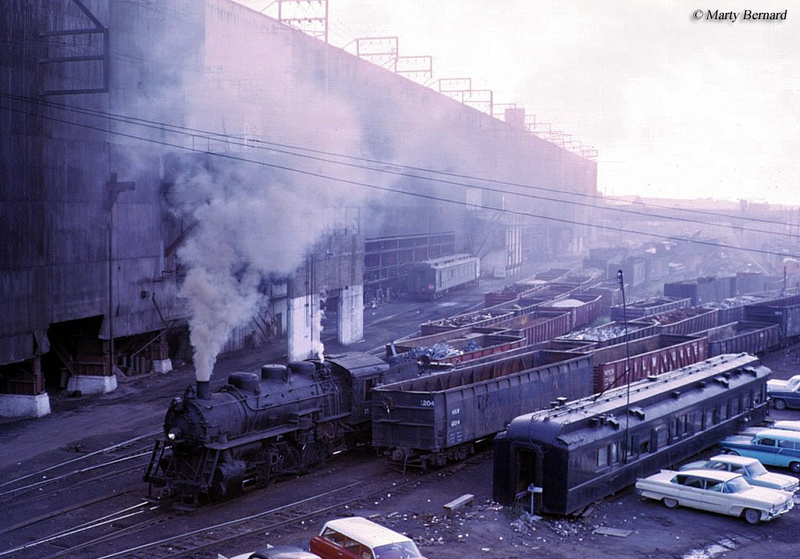 Other facilities sometimes found in these types of yards include freight car repair shops and paint shops (although most Class Is have only one designated location for painting locomotives). Without railroad yards it would be virtually impossible for railroads to remain efficient in keeping freight exactly where it needs to go. These large terminals, commonly known as classification yards, take in freight, usually from all different directions, sort it out and again send it on its way to either the next yard or final destination. To keep the freight cars properly sorted yards either use a designated locomotive (known as a switch engine or yard goat), a "hump" which is an inclined plane that allows the cars to then roll down hill onto the appropriate sorting track, or a combination of both. Of course, not all railroad yard are massive classification facilities. Some are no more than a few tracks in size and are used more for storage than classifying freight cars.Still, railroads often time need these small yards for storage purposes even if they do no type of classifying. In terms of layout railroad yards are either double-ended, which means a train can enter the yard at one end and exit from the other or stub-ended which means the yard has no exit. Obviously, the double-ended yard is much more efficient and most classification yards of any size are of this type. The tracks themselves are always numbered or named and are laddered, meaning they are accessed from a main track that is nothing put switches leading into these yard tracks. At one end of the yard is the main line, usually at least two tracks and once a train has entered the yard it is within the "yard limit" meaning there is a restricted speed at all times, usually no more than 5 or 10 mph. At one corner of the yard there is a diverging siding that is known as the RIP track, meaning Repair In Place for minor issues involving freight cars. There is also usually another diverging siding from the yard tracks for the wash bay to clean locomotives. The engine terminal itself can usually be found from one of the main tracks itself. In the very center of the yard you will almost always find the yard office or yard tower, depending on the size of the facility. In any event, not every yard is set up this way but historically most are in some way similar to this design. Here at the yard office the yardmaster controls all movements within the yard itself, such as the switch engine. Also found within the yard limits it the trainmaster, which controls the actual movement of the trains themselves, such as when they have clearance to leave and enter the area. These jobs can best be described as hectic and stressful and are almost never dull. 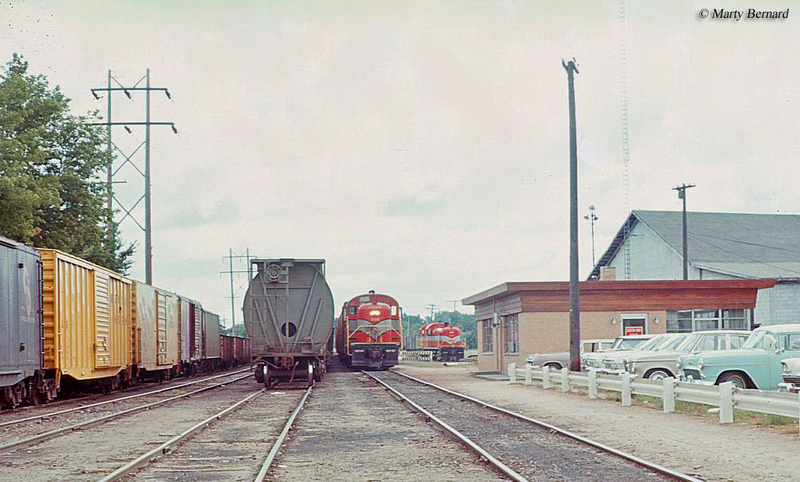 To explain the hump, if a yard is equipped with the device, it basically works on a gravity-fed system whereby it is the highest point in the yard and freight cars pass through a set of retarders, to slow it down a bit where it is then directed into whatever track it has been designated for. This system is very simple in nature and basically is like stacking blocks. 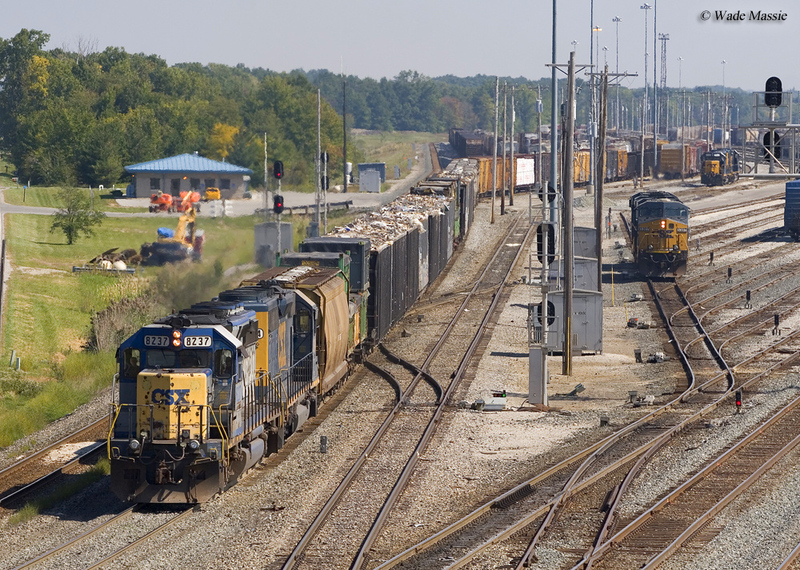 As technologies have improved such as switching from steam to diesel locomotives and mega-mergers which have ballooned the size of Class I railroads, the number of yards has dwindled. Today, Class Is attempt to centralize as many large classification yards as possible not only to become more efficient put also reduce the transit times of freights so that they are spending less time moving through yards and more time out on the open rails delivering their goods. This is a major reason for the CREATE plan of Chicago, an attempt to build bypasses for those freights which are not heading to the city and circumvent the web of rails and yards located there. A rail yard is managed by the yardmaster who has the responsibility in overseeing the direction of rail cars within the yard and assisting with the re-blocking of trains. According to the U.S. Department of Labor:Yardmasters coordinate the activities of workers engaged in railroad yard operations. These activities, which are also performed by conductors, include making up or breaking up trains and switching inbound or outbound traffic to a specific section of the line. Some cars are sent to unload their cargo on special tracks, while others are moved to different tracks to await assembly into new trains, based on their destinations. Yardmasters tell yard engineers or other personnel where to move the cars to fit the planned train configuration. Switches many of them operated remotely by computers, divert trains or railcars to the proper track for coupling and uncoupling.